Common signs include a fuel smell coming from the car, the Check Engine Light coming on, and fuel leaks. The fuel filler neck is an important, but often overlooked component of the fuel system. 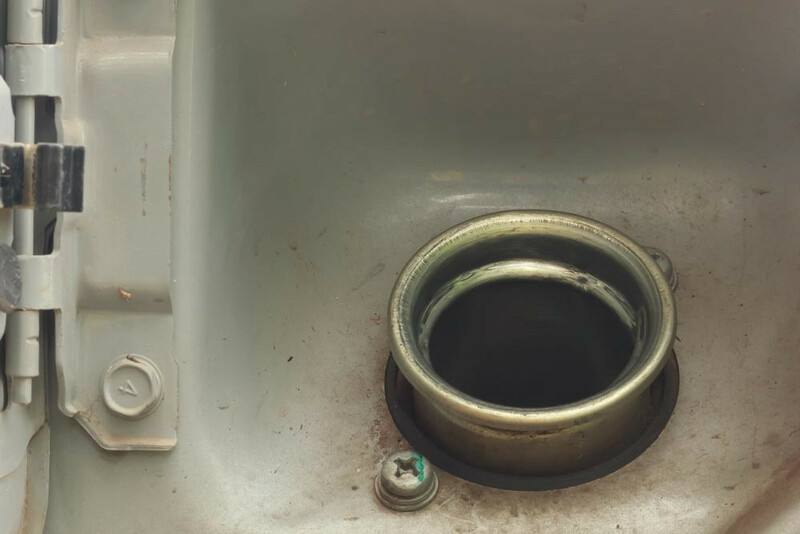 The fuel filler neck is the component that connects the fuel filler port to the fuel tank, and provides a path for the fuel to go into the tank as it is filled. Fuel filler necks are usually made out of metal or rubber, which while durable, can eventually wear out over time. A bad or failing fuel filler neck can cause issues with the emissions of the vehicle, and can even become a safety hazard if the vehicle leaks any fuel. Usually a bad or failing fuel filler neck will produce a few symptoms that can alert the driver of a potential issue. One of the first symptoms commonly associated with a bad or failing fuel filler neck is a fuel smell. While a faint fuel smell when filling up is normal, if the smell lingers or becomes stronger over time that could be a sign that the fuel filler neck may have a small leak. Aside from a fuel smell, a filler neck that is leaking vapors can also cause issues with the vehicle's EVAP system. Another symptom of a possible issue with the fuel filler neck is an illuminated Check Engine Light. If the computer detects any issue with the vehicle’s EVAP system it will set off the Check Engine Light to notify the driver of the issue. The EVAP system is designed to capture and reuse vapors from the fuel tank, and will set off the Check Engine Light if the fuel tank, the neck, or any of the system’s hoses develop any leaks. A Check Engine Light can also be caused by a wide variety of other issues, so having the computer scanned for trouble codes is highly recommended. Another symptom of a problem with the fuel filler neck is fuel leaks. If any fuel leaks from the side of the vehicle that contains the filler neck, especially when the vehicle is being filled, then that could be a sign of a potential issue with the vehicle’s filler neck. Most filler necks are made of rubber or metal, which can corrode and wear out over time and leak fuel. Any fuel leaks should be addressed as soon as possible as they could quickly develop into a potential safety hazard. While filler neck replacement is not necessarily a common maintenance procedure, it is an important job, as the filler neck plays an important role in the vehicle’s fuel system. If your vehicle’s filler neck may be having an issue, have the vehicle inspected by a professional technician, such as one from YourMechanic, to determine if the neck should be replaced. Q: My car has a fuel injector problem, how can I free myself from this problem? Q: I filled up my gas tank this morning and it's almost half empty.